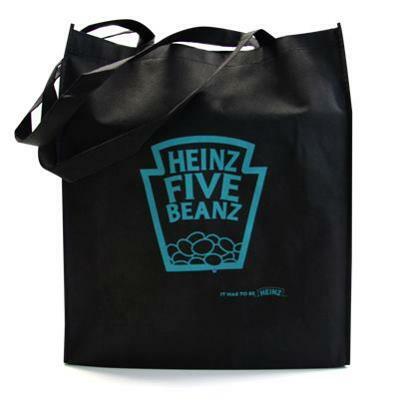 Heinz Beanz have kindly given me a Heinz FIVE Beanz goody bag to give to one very lucky winner. You can become a fan on Facebook at https://www.facebook.com/heinzbeanz. Entry is via the Rafflecopter form below. The competition will be running from 8.30am on 1st October 2012 until 4am on 31st October 2012. It is open to UK residents only, aged 18 years and over (you will be required to declare your date of birth in order to claim your prize). Winners will be drawn at random on 1st November 2012 from all valid entries. I love Heinz Beans on toast, with grated cheese on top - yummy! I love beans on toast on a cold day! I occasionally have a fry up with baked beans, but my Dad has them every Sunday without fail and has done since he was a little boy, and it has to be the ones with sausages. Mum bought the veggie sausage version once and we nearly had a divorce on our hands! On toast with a sprinkle of cheese on top. But NEVER EVER with breakfast...it's just wrong!! Beans, beans, good for your heart. The more you eat, the more you fa** !!!!! On Toast, Must be brown bread with real butter. On toast with a poached egg on top! Eat them in a taco! I love Heinz beans anyway they get served up, even cold! Heinz beanz go best on a jacket potato with added butter. On toast with a sprinkling of parmesan on top! With crispy bacon and a dippy egg! beans on toast - piping hot - have burned the roof of my mouth many times on a boiling hot bean! In a baked potato with cheese! Yum! with a lovely jacket potatoe! Yummy! on a jacket potato with lots of cheese! corned beef hash & beans mmmm! love them on well done toast. on toast with grated cheese melted over the top. yum!!!!!!!!! Simply, I like my Heinz Baked Beans hot and on buttered white toast. Perfection! I actually like them straight from the tin! on toast mixed with beans and oregano and a dash of tabasco yummy! On toast - simple but tasty! I love beans as part of a full fried English breakfast! Generally as part of a fry up. I love beans on brown, nutty toast with some strong grated cheddar,delicious!!! Can't beat beans on toast! I eat mine cold, straight from the tin...uncouth, I know! at the side of a full english breakfast! On toast the best way!